There is no denying that loose-leaf tea is a delicious treat, but it can also tend to be a little high-maintenance when it comes to preparation. 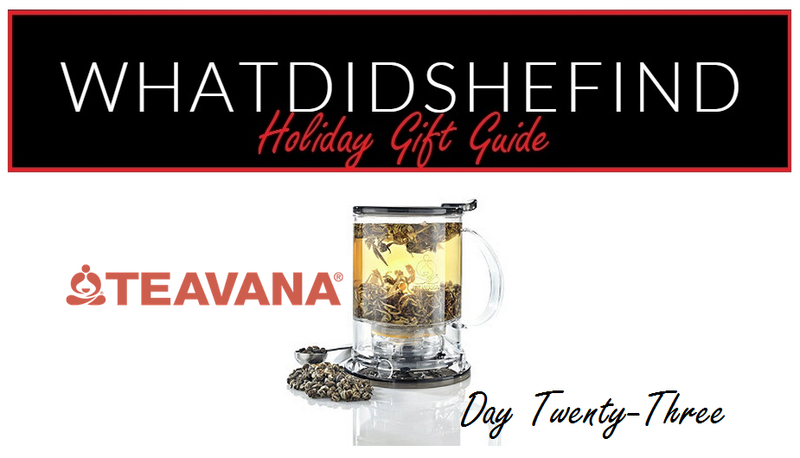 Enter the Teavana Perfectea Maker, a handy device that helps steep your tea and strain it right into your mug of choice, without having to worry about spillage or tea “floaties”. Aside from being super easy to use, the Perfectea Maker also makes cleanup a sinch: simply remove the filter, wash, and reassemble. Regular price, the Perfectea Maker retails for $19.95, but you can purchase it this weekend during Teavana’s Friends and Family Sale for 30% off (use code FFHOLIDAY).